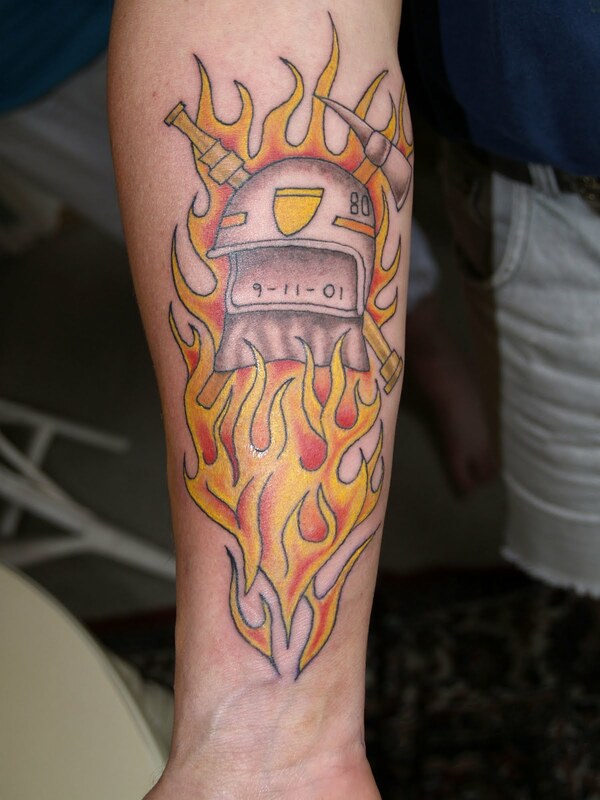 Firefighter tattoos are most often worn by those who work in this industry, but are sometimes used by those who have loved ones or friends that are firefighters. As such, these images can symbolize a few things: the devotion and pride felt by the wearer for their career path, or the pride and love felt toward the people that are doing this work. 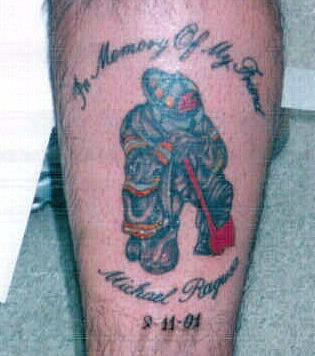 In addition to expressing the emotions felt for this particular trade, many of the symbols used for firefighter pieces are worn as emblems of protection or to show specific affiliations. 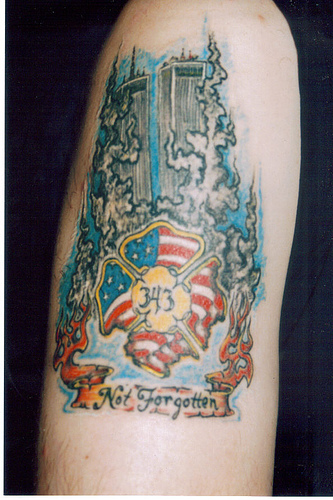 Some of the most common firefighter tattoos feature reproductions of actual badges and identification pieces. 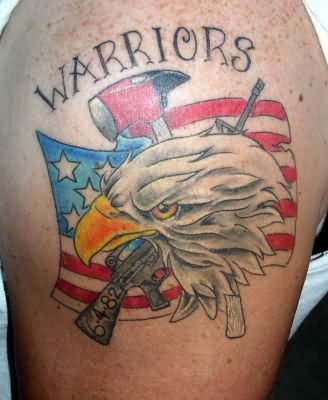 These pieces often contain information like the name of the wearer’s fire station and the wearer’s position in the team. Some of these badges are made into a tear shape, while others or in the form of a cross. They also occasionally bear other relevant symbols, such as bugles or the Star of Life emblem. 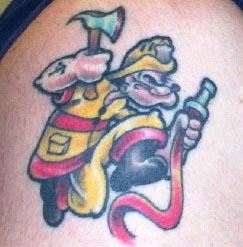 In addition to being used to form a badge, crosses play a large part in many firefighter tattoos. 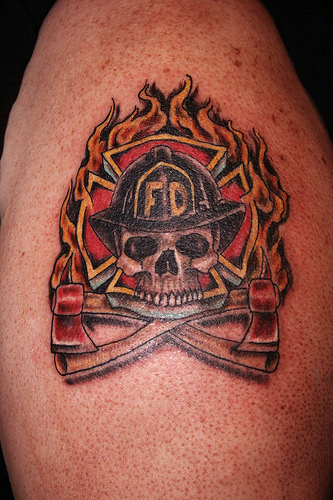 Although the general shape of this design is similar in appearance to the Maltese cross, it is actually referred to as the Firefighter’s cross. 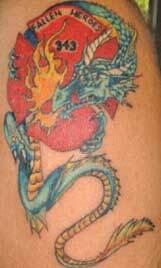 Most pieces with this design will feature a traditional red-hued cross with four thick arms that surround a circle. 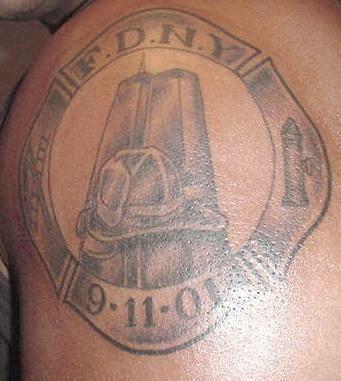 Each arm bears lettering and symbols that indicate an affiliation with the fire department. 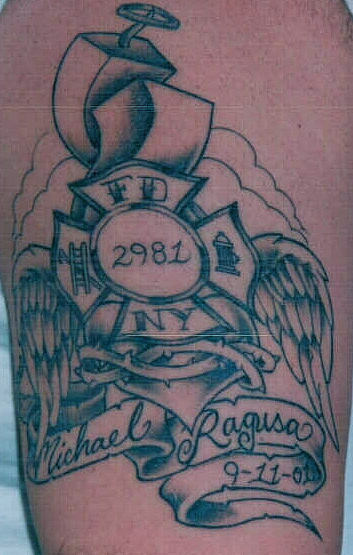 The Firefighter’s cross is not only used as identification, but is also said to be an emblem of protection, sacrifice, courage and hope. In addition, the eight points of this cross are thought to represent the eight points of chivalry: gallantry, loyalty, perseverance, dexterity, tact, observation, sympathy and explicitness. 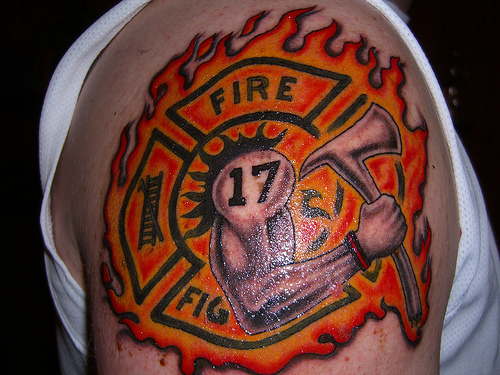 Challenge coins are another popular choice for firefighter tattoos. These pieces are often made to look like small coins or medallions that bear the insignia and other relevant information of a fire department or unit. 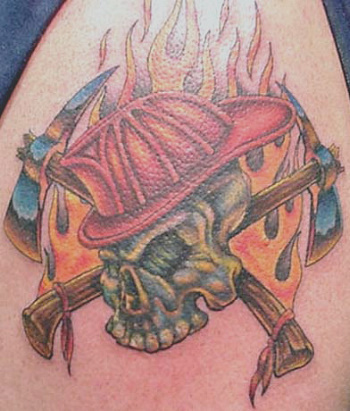 The design for these pieces will often vary depending upon the wearer’s particular affiliation, but many will bear familiar firefighting symbols. 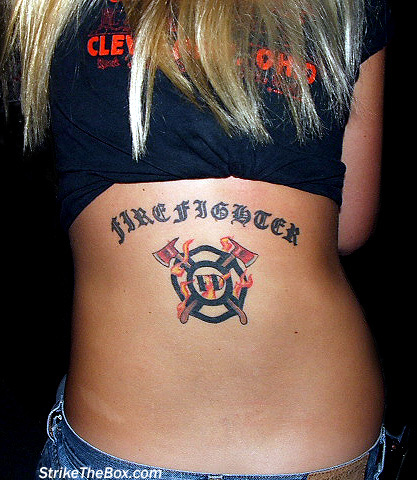 Although most designs will depict emblems that are specifically related to firefighting, some will also incorporate symbols of protection or luck. 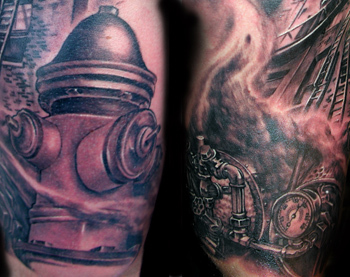 Saint Florian, who is the patron saint of firefighters, often appears in these pieces. Many of these designs will show this saint at the center of a medallion-like image; however, he may also be shown standing alone or in the midst of a larger scene. 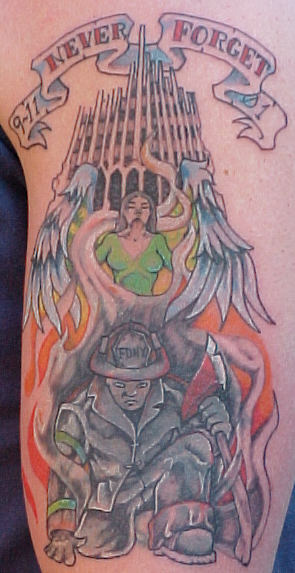 Angel wings, flaming shamrocks and arrowheads are other popular symbols for firefighters.